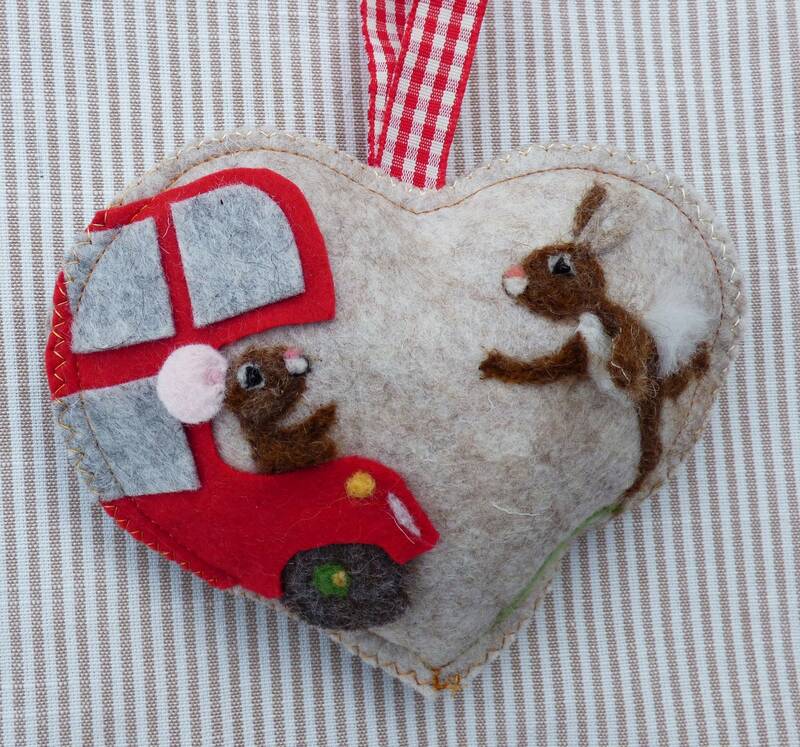 Childs room felted rabbit running for the bus, Heart decoration, needle felted rabbit design needle felted mouse personalised with name. 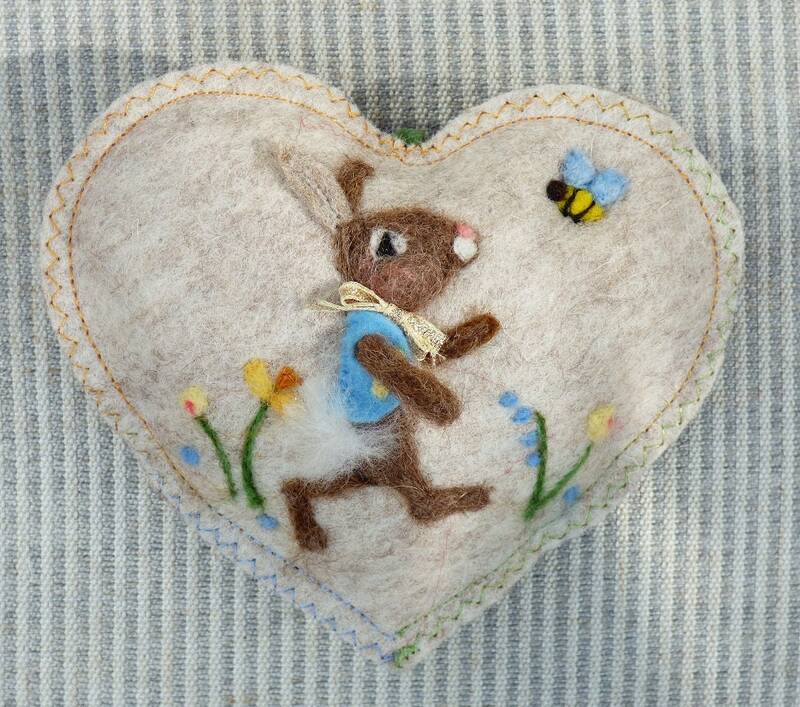 This heart is for any 'bunny' who is often ' just on time'! 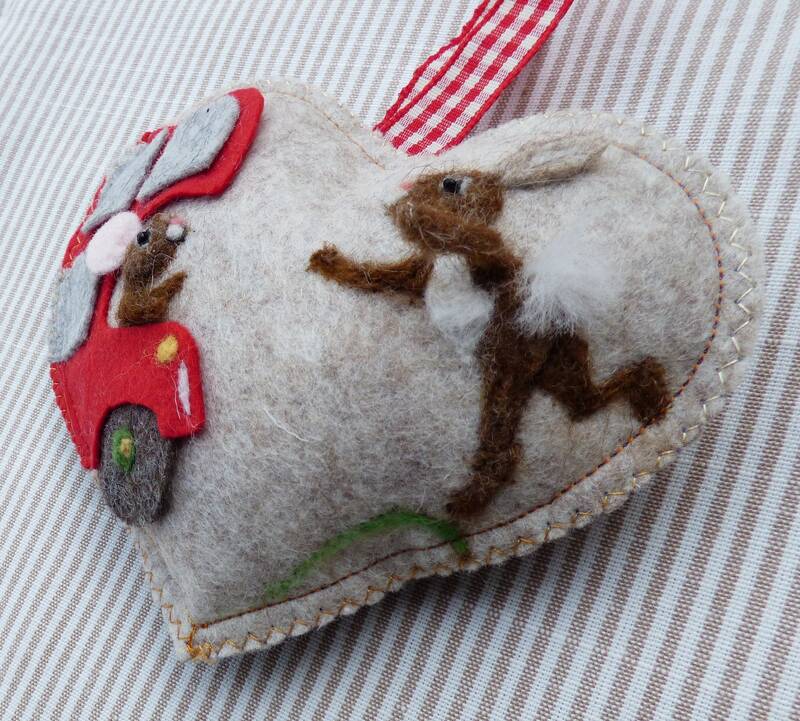 The needle felted rabbit is racing to catch the - has Master mouse spotted him in time? 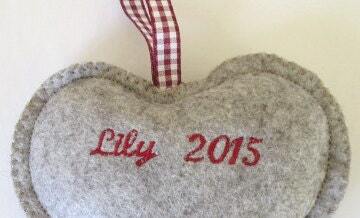 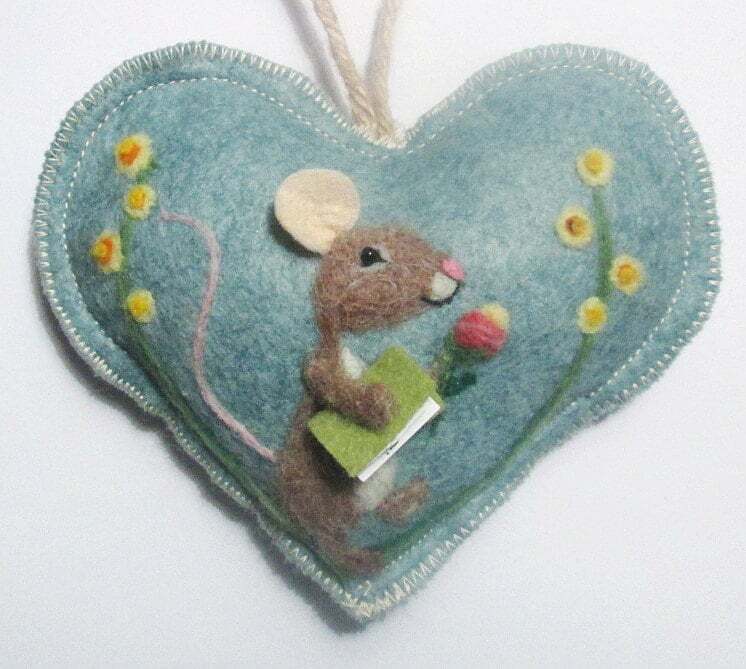 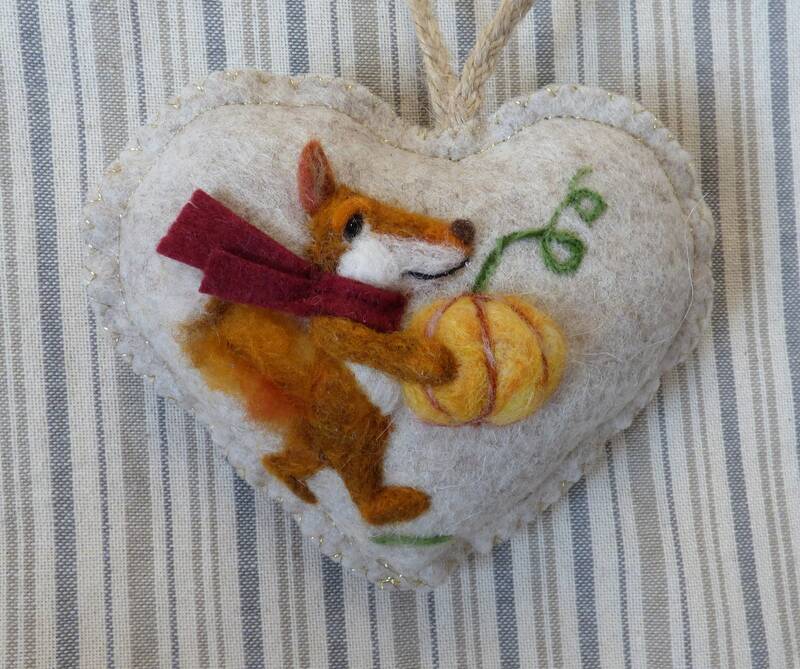 The design is needle felted and designed by me in my Studio in Somerset England. 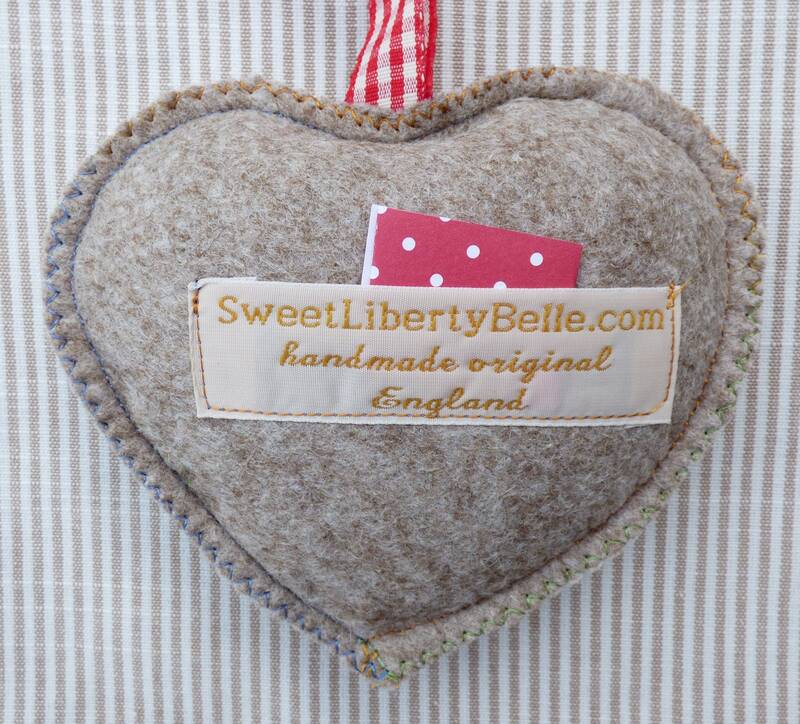 100% pure wool from local and rare breed sheep is used to create animals with a bit of fun that look alive as their ears and arms are 3 dimensional.